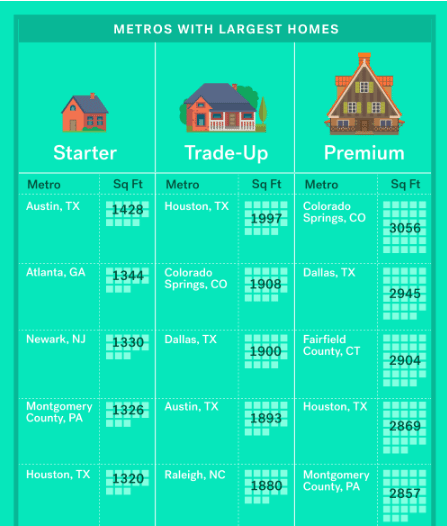 Trulia’s research team studied the median square footage for starter homes, trade-ups and premium homes throughout metros across the nation, with Texas having a big presence on the list for all three categories. As of June 2016, Texas’ foreclosure inventory was at 0.5 percent, and its serious delinquency rate was 2.3 percent, both of which are lower than national averages, according to CoreLogic. However, both represent slight month-over-month increases. Housing consulting company Metrostudy recently released local-level home start reports for the second quarter, revealing a rise in residential construction in both Chicago and Austin. While both metros saw boosts in annual home starts through the second quarter, the report shows Austin reported stronger sales fueled from considerable job growth.